Got An Investor or Buyer Looking For A Fixer Upper? Look No Further. 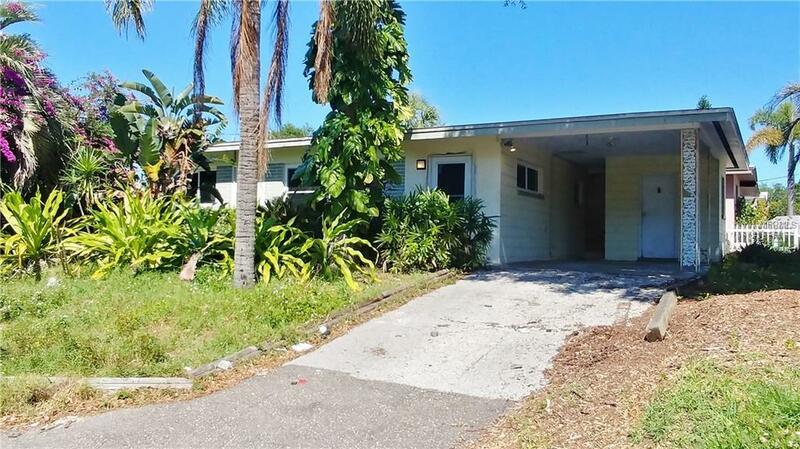 Check Out This Masonry 2 Bedroom House on a Corner Lot Only a 5 Minute Walk to "Old Downtown" Palm Harbor. Kitchen With Granite Counters and Breakfast Bar. Refrigerator, Range and Dishwasher Included. Newer HVAC and Windows. Fully Tiled Bath with Shower. Attached Carport Features Utility Room with Laundry. Check Out the Tropical Landscaping: Bougainvillea, Cabbage Palms and Plumeria! And No Flood Insurance Required! Kitchen Needs Work. Bathroom Needs Some TLC. Yes, This Home Will Need Mostly Cosmetic Work. But A Bargain At This Price. Bring Your Tools and Your Imagination. Just 2 Blocks from the Pinellas Trail, and Just Minutes from Innisbrook Golf Resort and Pop Stansel Park. Be Sure to Call and See This Home Before Its Too Late! Cash or Conventional Only at This Price.